T&C: Those efforts received a lot of great press for the cruise business. Why do you think that was? AG: A lot of credit is due to individual cruise line leaders who made key decisions to the benefit of the destinations, e.g., making ships available to bring first responders in or to take people with medical conditions out, or to make contributions to critical charities that facilitated response services. The governments were profoundly thankful. This was one of the times when a family is really tested and when people come back to first principles of how interdependent they are and how much they value each other. There’s nothing to do but recognize we’re in this together and we really need to apply ourselves to recover and to rebuild. Within a few months, ships started to return to the principal cruise destinations, and now we’re back in all of the destinations. 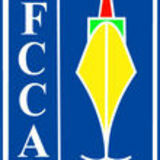 At the same time, FCCA communicated through its “Caribbean Is Open” and “Caribbean for Everyone” campaign that the vast majority of Caribbean destinations were not affected by a hurricane. T&C: You referred to testing “the family.” Cruises tend to create tighter bonds. 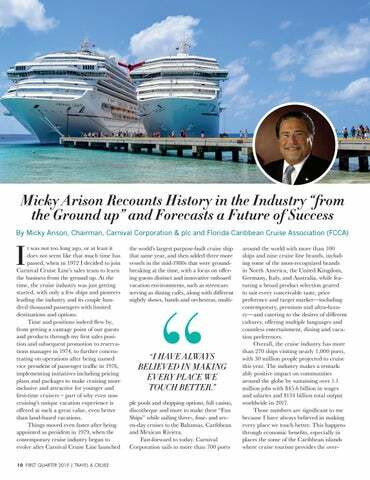 Is there a different tone in member cruise lines’ relationships? AG: The tone at the two FCCA annual conferences that have taken place since Hurricanes Irma and Maria was clearly more positive. The profound thankfulness from the U.S. Virgin Islands, from the governments of Puerto Rico, St. Maarten and the other affected destinations, is greatly appreciated by the FCCA and its member cruise lines. The destinations know we’re there for them should anything happen in the future that requires our support and involvement. T&C: To change tack, let’s address growth and development. Where is the industry headed and why? AG: CLIA’s projections foresee robust industry growth. Those projections are underscored by the many cruise ships under construction. Today’s consumers are more interested in acquiring experiences as opposed to buying things. Our sector is in the sweet spot of what people are looking for to enhance their lives. 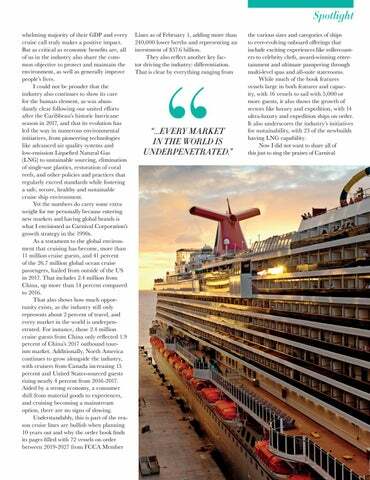 We’ve only scratched the surface of the possibilities, which is why you see such remarkable and ongoing differentiation of cruise lines and products. From the largest lines with the largest ships to luxury and expedition ships exploring nearly all of the world’s coastlines, opportunities for new experiences abound. 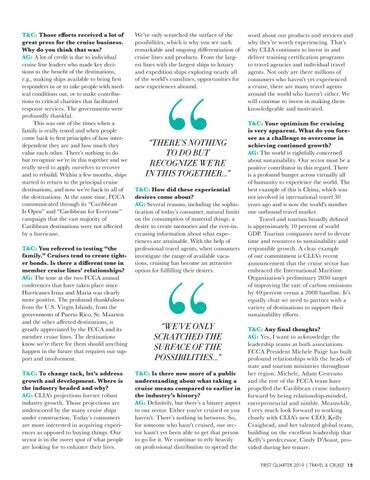 “THERE’S NOTHING TO DO BUT RECOGNIZE WE’RE IN THIS TOGETHER…” T&C: How did these experiential desires come about? AG: Several reasons, including the sophistication of today’s consumer, natural limits on the consumption of material things, a desire to create memories and the ever-increasing information about what experiences are attainable. With the help of professional travel agents, when consumers investigate the range of available vacations, cruising has become an attractive option for fulfilling their desires.